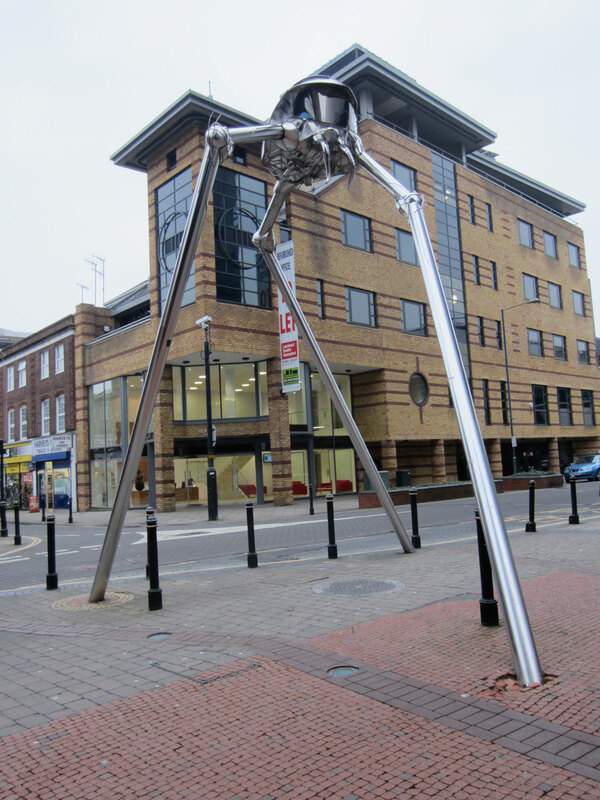 There is just something wonderful about Martian spaceships invading the centre of town … in this case Woking in England, the original location of H.G. Wells’s book where this structure has been erected … especially when you get to create all that fire, mayhem and destruction! This was a combination of concepts – H.G. 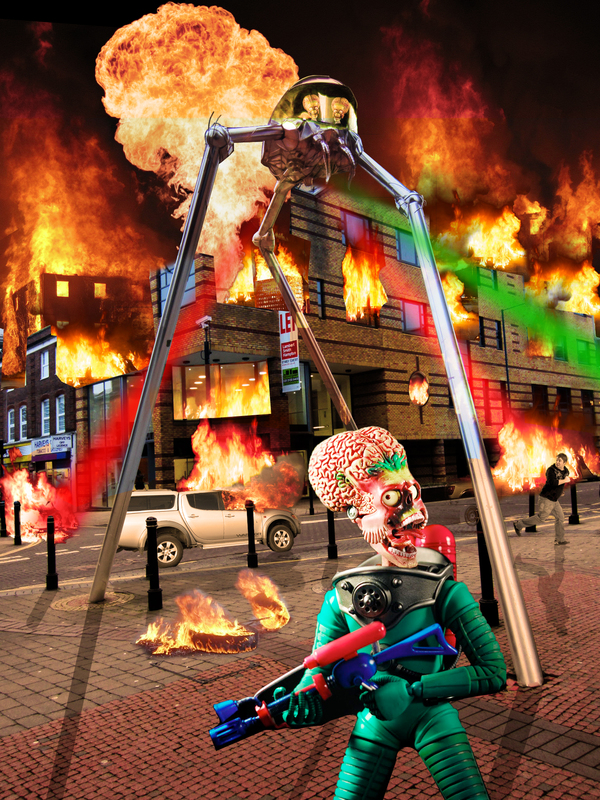 Wells’s ‘War of the Worlds’ and Tim Burton’s wonderful ‘Mars Attacks’. With thanks to Deborah Morley for the original image.